© Ambrilee Beck. All rights reserved. 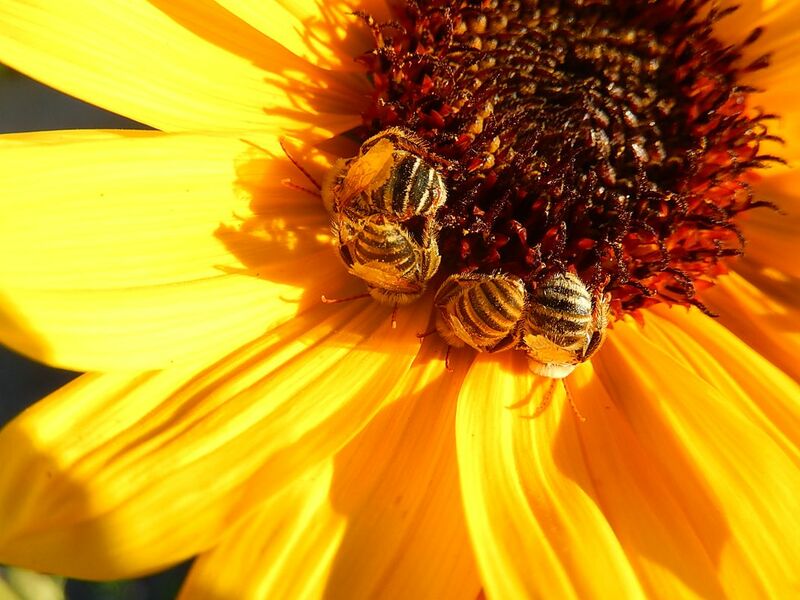 4 bees curled on a sunflower in the middle of a pumpkin patch. Date Uploaded: Sept. 20, 2015, 8:13 p.m.